The Humboldt County Fair Association has settled a wrongful termination lawsuit brought by its former General Manager, Stuart Titus, and his wife Caroline, agreeing to pay the couple $150,000. Describing the lawsuit as “all consuming,” Caroline Titus told the Journal that she and Stuart are happy to put it behind them and move forward. 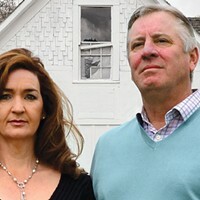 The couple owns the Ferndale Enterprise, in which Caroline, as its publisher and editor, has covered the lawsuit relentlessly. The Tituses sued the Humboldt County Fair Association in March of 2014, about a year after the board voted 13-7 not to renew Stuart’s contract as the association’s general manager, a job he’d held for 22 years. The Tituses alleged that the board fired Stuart in retaliation for his unwillingness to keep Caroline from writing pieces in the paper that made board members “look bad,” as well as his repeated reminders that the board should abide by state open-meeting laws. In court filings, the fair association countered that Stuart’s job performance and the way he interacted with board members were solely responsible for the decision to let him go. The fair association announced the settlement in a press release last week, which comically noted that the “settlement was made as a compromise and not an omission of liability.” It’s safe to assume that the association meant “admission” instead of “omission” but, in any case, the $150,000 settlement will be covered by the association's insurance carrier. “Frankly, we are just glad this time-consuming case has been settled and we can now focus on improvements at the fairgrounds, preparing for our 2016 fair and dealing with the many events that we have going on at the fairgrounds,” said fair General Manager Richard Conway in the release. The press release also noted the fair recently received a $500,000 grant to make needed facility improvements, but the release erroneously stated the money came from the California State Fair Association, which doesn’t exist. In fact, the grant comes from the California Department of Food and Agriculture. 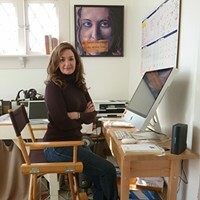 Receives Large Grant & More! Ferndale- A lawsuit brought by Stuart and Caroline Titus against the Humboldt County Fair Association was recently settled out of court without having to go to a jury trial. On January 5, 2016 the Federal Court in San Francisco held a Confidential Mandatory Settlement Conference relating to the case of Stuart and Caroline Titus v. the Humboldt County Fair Association and their directors. Barbara Tyler, the Claims Manager from California Fair Services Authority, the HCFA's insurance provider, resolved the case with asettlement to Stuart and Caroline Titus and their attorneys in the amount of $150,000. The settlement was made as a compromise and was not an omission of liability. Settlement funds will be paid by the California Fair Services Authority. Mogni added, “We have a lot of good things happening. We recently received a grant for nearly $500,000 from the CaliforniaState Fair Association to make needed improvements. The majority of money will go to replacing the aging/failing water system at the fairgrounds. Some of it will be used to replace the asbestos floor at Belotti Hall. (We are hoping the grant will cover both but we may be asking our community partners to pitch in to help with the Belotti project.) We received another grant for $12,500 from the Berg Foundation tomake much needed repairs to the Poultry Building at the Fairgrounds. As one of the oldest, if not the oldest building on the fairgrounds, we are happy to have it once more be usable for FFA, 4-H and other groups. The Humboldt County Fair will be holding it’s 120th fair August 18-28, 2016. 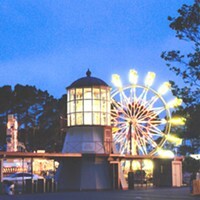 More information is available on their web site, humboldtcountyfair.org or by calling the fair office at 707-786-9511.